'Feather brows' are now a thing and the internet can't decide if it hates or loves them. 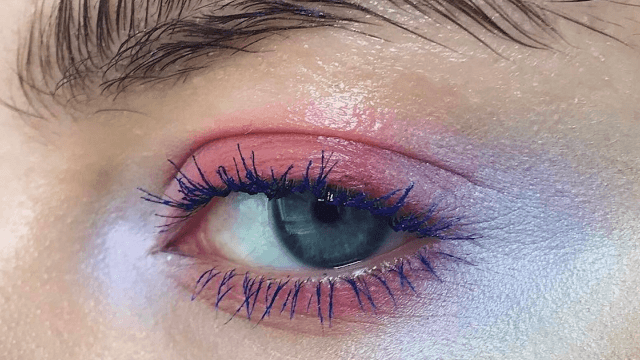 Another new beauty trend has surfaced and is dividing the internet between hating it and loving it. Ladies and gentlemen, we've seen beauty trends inspired by unicorns. We've seen beauty trends inspired by human tears. Now we have a trend inspired by... birds? I guess? Seventeen reports that the hubbub began when Finnish makeup artist Stella Sironen posted the first known photo of the feather brows to Instagram. Apparently, Sironen used a glue stick to part the arch's hairs down the middle, giving the feather-like effect. (She credits her friend Leevi for coming up with the idea.) People on Twitter couldn't decide how to feel about them. Some weren't quite sold on the idea. While others have decided to embrace feather brows fully. How do you feel about feather brows? Will you be taking a glue stick to your eyebrows anytime soon?